"Hello, Dexter. Remember me?". The sixth episode of the eighth and final season of Dexter aired a couple of nights ago. 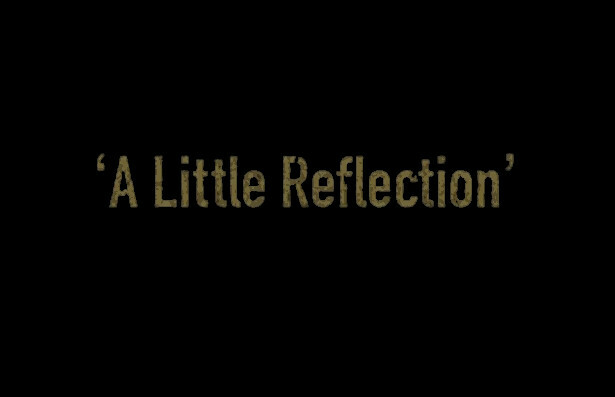 "A Little Reflection" which felt like an old school Dexter episode, is written by Jace Richdale and directed by John Dahl. Skip the jump to read our thoughts on the episode, vote and discuss, (in case you didn't). +In the beginning of the episode we see Zach taking some pictures from a car accident. +Dexter stalks him and sees him going to Vogel's house. He's kind of worried. +Zach appears later at a crime scene to take photos and Dexter goes over to talk to him. He sees the awe and wonder Zach exhibits, much like a young Dexter did with his father when he was younger. +Dexter and Cassie are out for a date. When the conversation comes to his boat it turns out to be an awkward date for our favorite serial killer. +Dex later visits Zach at his studio to see the photos he's been taking of crime scenes. His visit doesn't last long, however, as Zach receives a call that upsets him, and has to leave. +Batista's dilemma and Matthews. Deputy Chief insists that he should choose Miller instead of Quinn for Sergeant. +Just like old times... Dexter, Deb, steaks and beers. It looks like they finally got back to normal. Is normal the right word?! +LOVED the season 2 mention during their dinner. Deb is not impressed by Dex's steak. According to her... it tastes like a**hole! +Quinn finds out that Batista picked Miller instead of him for Sergeant. He's pissed off and asks Dexter's help for the Hamilton case. +Dexter's and Quinn are stalking Zach. Quinn is talking with him about Deb's confession and Dexter looks bored. He discovers Zach's next intended target is a woman doing yoga in the park. +Dexter enters at Zach's studio and uncovers definitive evidence that Zach killed his father's lover, Norma Rivera. +Dexter brings the evidence to Vogel, who says she knew that she killed her because Zach had confessed in one of their sessions. +Vogel suggests Dexter teach Harry's Code to Zach. "Maybe it's time to see if the experiment will work". Dex is furious and he leaves Vogel's house. +At Jamie birthday party, Masuka tries to give $5,000 to her daughter Niki, after admitting he had someone research her. She is hurt and upset. She tells him that she wouldn't have asked him for the money in the first place. +Jamie learns that Quinn didn't get promoted. She storms out. +It looks like Dexter's date with Cassie didn't work. She with the guy at the birthday party, Oliver (who looks like Ryan Gosling). +The same night, Harrison and Dex are having a conversation. Harrison lies about breaking the TV remote and then hiding it under his bed. Dexter tells him he shouldn't lie, but Harrison reminds him: "But daddy... you lie." +Harrison then shows Dexter his favorite stuffed doggy that is covered in the blood of Briggs that Dex killed in the Season 8 premiere. Dexter tried to get rid of the evidence, but Harrison fished it out of the trash. +Dexter goes to confront Zach but Quinn is an obstacle. Dexter calls Jamie to convince her to lure him away, which she does. +Dexter injects Zach, who was heading to kill his father and not the woman from the yoga that she has an affair with him. Quinn shows up as he's driving away to meet Jamie. He just thinks Dexter is trying to play cop and he leaves. +We see Zach wrapped in plastic on Dexter's table. He sees in Zach a younger version of himself. He decides not to kill him and to try and teach him Harry's Code. +In the final scene of the episode we see Dexter and Deb having breakfast at her house. Suddenly Deb passes out, Hannah appears and Dex passes out as well! What did you think of episode 8.06 "A Little Reflection"?